There are two worlds, separate of their own choosing. There are two worlds, separate of their own choosing. In the Safe Lands, all is pleasure and comfort and convenience, greased by the omnipresent wonders of technology – except for the thin plague, and until the time of liberation. In little Glenrock, life is harder and the rules are stricter – but there is the freedom to go, and even to stay much longer. These two worlds disdain each other on the basis of what they think they know, and keep wide apart – their orbits separated by a stretch of miles, a rising mountain. But that distance – though so long honored – is easily crossed. And when it is, in all the meetings and conflicts that follow, many will have cause to revise what they think, on the basis of what they really do know. 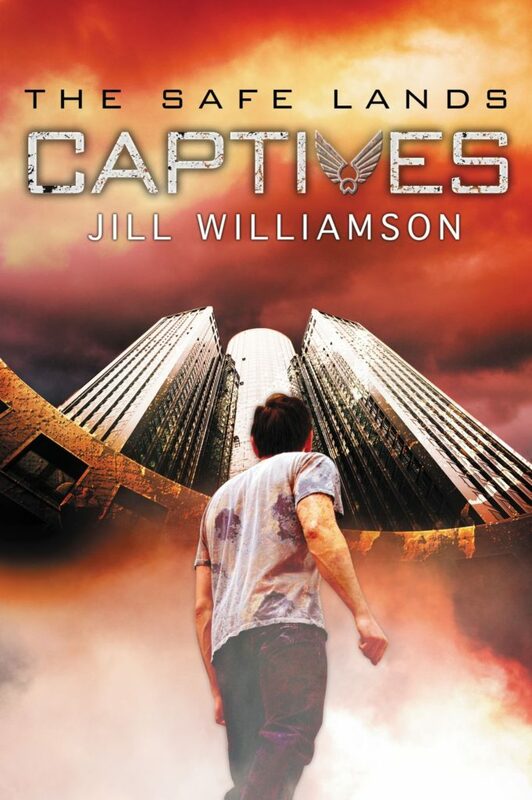 Captives, written by Jill Williamson and the first book of the Safe Lands Trilogy, is a dystopian novel that takes place in the year 2088. There are some hints of what destroyed our present world – pandemics, the pollution of the earth’s water – but the main focus is on the fractured world that replaced it. Glenrock and its nearby villages are juxtaposed against the Safe Lands, with a few tantalizing mentions thrown toward places such as Denver City and Wyoming. Jill Williamson explores these societies in great depth. Captives is one of the finest examples of world-building I have ever seen. Williamson’s treatment of these cultures is comprehensive – their family and power structures, their laws, their moral codes, their technology, their history, their cultural suppositions. Also their benefits, flaws, and blind spots. It is part of the complexity and realism of Captives that no individual or culture is represented as entirely good. One world is clearly better than the other, but both have their own errors, and no one living in either one is entirely right or wrong. Williamson handles the meeting of these worlds with consummate skill, and allows it to guide the spiritual themes of the story with utter naturalness. The worlds don’t only clash; they intrigue and even tempt. Through the story – what is done far more than what is said – Williamson delivers a powerful lesson in temptation and how people are led astray. The characters, like the world, are complex and believable. Not all are sympathetic, even among the protagonists. While this is another element in the realism of the story, it also makes at least one hero tiresome company at times – and readers have to keep his company a lot. He is one half of the lead couple, and their romance can be a bit … much (he calls her Buttercup). Although always well-done, there were times I did not enjoy Captives. The ‘grit’ – the sin, the temptation, the dissolution – wore on me. There was an excellent moral in watching a neglected teenager fall into bad company and a drug habit, but it was no fun. At one point in the story, one of the outsiders said that the Safe Lands were “both fascinating and discouraging.” So was Captives, to a large extent. 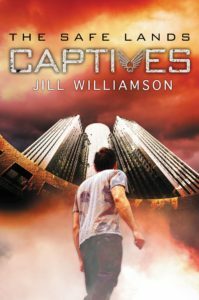 Captives is a phenomenally well-crafted dystopia, guided by Christian spiritual understanding and with enough sympathetic characters to add human interest to the dystopian intrigue. Recommended to everyone who enjoys dystopian sci-fi.